It's always bad news when you hear that someone is "sick on top of chronic." You know, when a chronically ill friends catches a cold, flu, stomach bug or other infection. Because of chronic illness, it's much harder when the chronically awesome get sick. Ordinary, everyday, garden-variety infections often morph into horrific acute illnesses that require medical intervention. For example: this year, a lot of my chronic friends became sick with the flu. That's probably because this year's flu shot was less than effective. OK, so that explains why they are getting sick. But I keep seeing post after post on Facebook from my friends sharing that their flu lingered on for weeks. Some of them developed pneumonia. One person needed to go to a rehab facility for a few weeks in order to fully recover. The most unlucky of them all is my friend Laurie who blogs over at HibernationNow. She got the flu in early February. Then she got pneumonia. Then it morphed into a serious and life-threatening condition called Acute Respiratory Distress Syndrome (ARDS). At least that's my best guess based on what I am hearing second and third hand. I can't talk to Laurie about it because she is in a hospital in New York City, on a ventilator and in the ICU. Her husband describes her as being "gravely ill." This past week she hasn't been getting better, but she also hasn't gotten any worse. It might take weeks or months for her to really get better. Honestly, I am in shock. If I think about Laurie's situation for more than a few seconds, I can't help but start crying. I wish I lived closer, I wish I could go visit her. I know she is sedated, but I just want to hold her hand and tell her that everything is going to be OK if she just hangs on and lets her body take it's time to start healing. This whole situation also makes me really angry. My point is that each individual's health is part of the greater public health. If you get sick, there's a good chance the people around you are going to get sick too. Conversely, if you stay healthy, then the people around you have a good chance of staying healthy too. And believe it or not, flu vaccines help keep everyone healthy. When you get a flu vaccine, you not only decrease your chances of getting sick, you contribute to something called "herd immunity." Here's how it works: the greater the number of people immune to the flu through vaccination, the less likely the transmission of the flu to a person susceptible to it. That means the likelihood of someone who can't get vaccinated getting the flu is greatly reduced. Even when the vaccine isn't a perfect match, it can still prevent severe cases of the flu and complications from the flu. Subsequently, it can make the virus you pass on less effective at making someone else sick. Honestly, I wish the "herd" around me, and Laurie, was more health conscious. 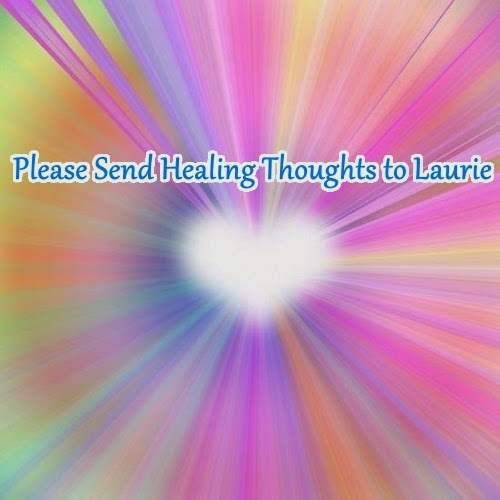 All I can do for Laurie now is send her healing thoughts and ask you to do the same. Her present condition is very serious and her recovery is going to take a really long time. It will be measured in months, not days. So if you believe in the power of prayer, please keep Laurie in yours for the foreseeable future. Hang in there Laurie. Everything will be OK.
You are so right Selena....on every point. Getting sick with anything is so dangerous for us chronic babes and we should be afraid of anybody who says they don't feel good. I worry about germs when I am in the grocery store, or at the pharmacy. I admit I am a bit obsessive, but I don't want to get sick. My sister was volunteering at a grade school in their computer lab....with preschoolers no less.... Germs and boogers everywhere!! She got so sick, I believe she should have been in the hospital, with three different virus's.....She got sick in September, and isn't well even today. The older we get the harder it is to fight these bugs, especially for us autoimmune queens. My prayers continue for Laurie.